Size: approx. 15 mm. Photo: 09/18/14, 11 pm. 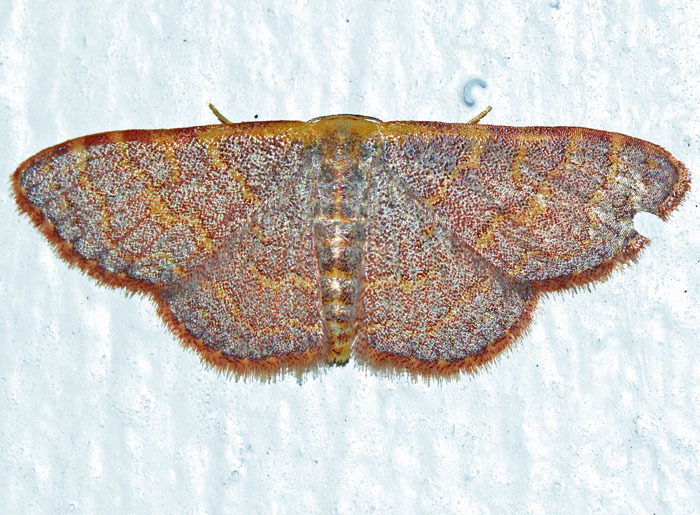 This pale reddish moth is Leptostales pannaria. It can be found in the Southeastern US and Texas.